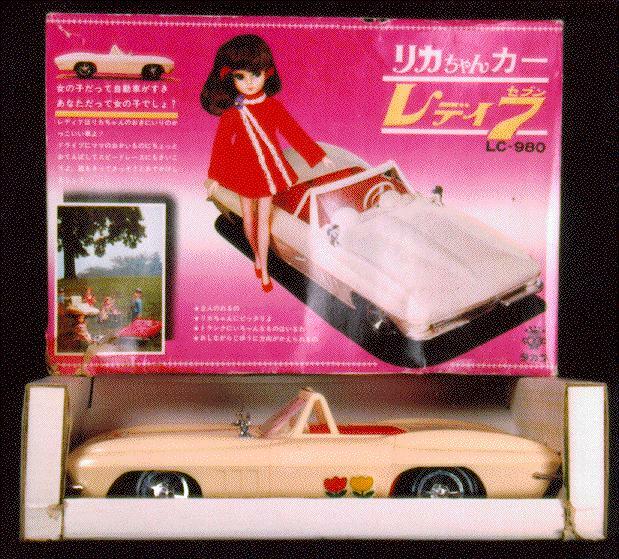 MIB "Licca-chan 7" (Licca's Corvette), circa 1967, approximately, by Takara, Japan. This box is printed entirely in japanese, as far as I can tell there is no date on the box. But from the style of the car, and the photos of the dolls, I would say it is from the late 60's. Car has been played with, but appears complete, minus extra accessories, which are pictured on the side of the box.